赵俊, 林均岐, 刘金龙, 等. 钢筋混凝土梁式桥地震安全性分析及评价[J]. 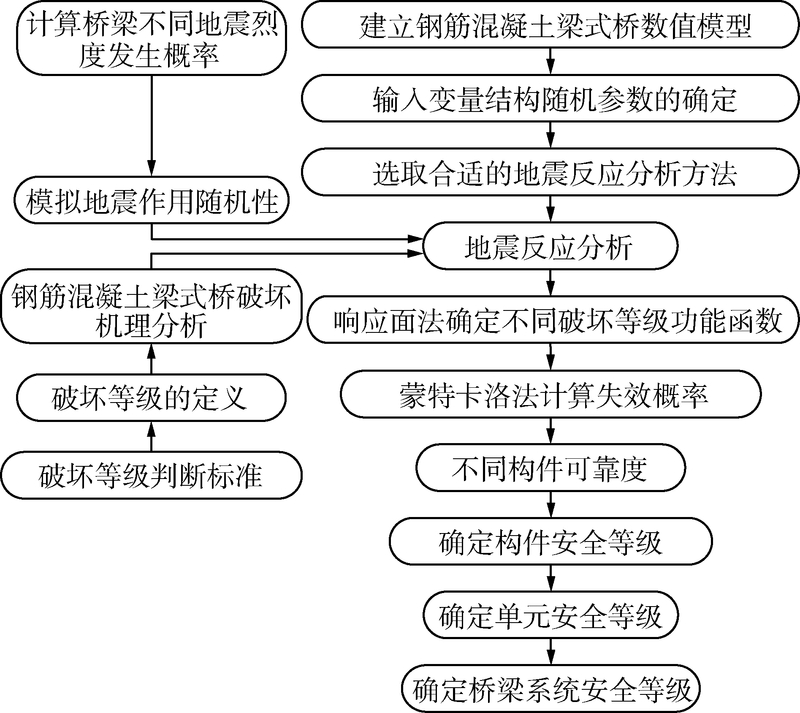 哈尔滨工程大学学报, 2019, 40(4), 710-717. DOI: 10.11990/jheu.201709075. ZHAO Jun, LIN Junqi, LIU Jinlong, et al. Analysis and evaluation on earthquake safety evaluation of RC beam bridges[J]. 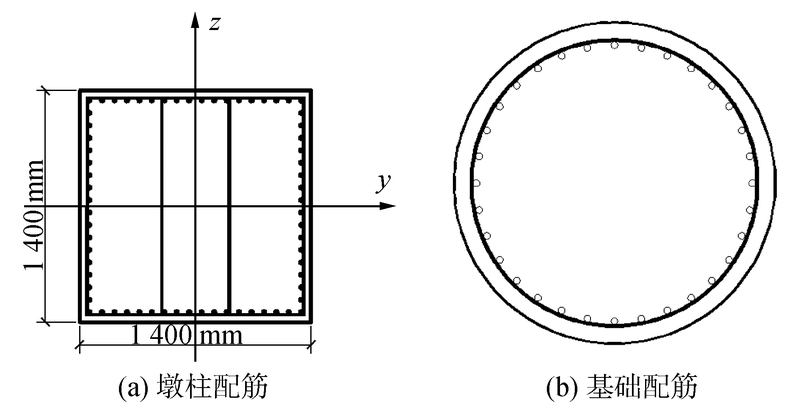 Journal of Harbin Engineering University, 2019, 40(4), 710-717. DOI: 10.11990/jheu.201709075. Abstract: To solve the earthquake safety problems of bridges, this study analyzed the bridge failure mechanism based on reliability theory by considering the randomness of material strength and uncertainties of computing models, which have important effects on structural resistance force.Failure probabilities of RC beam bridge piers, bearings, upper structures, and pier foundations under frequent, occasional, and rare earthquake levels, as well as seismic reliabilities of bridge members in the basic design period, were calculated by the response surface analysis method.In addition, different seismic safety grades of the bridge and its components were given to evaluate the earthquake safety level of the bridge.An RC beam bridge was modeled and its safety grades were given.The conclusion illustrates that the RC beam bridge has a high safety level under earthquake in the design period. 姜淑珍, 林均岐. 城市桥梁震害预测方法的探讨[J]. 世界地震工程, 2004, 20(4): 64-66. 王东升, 冯启民. 桥梁震害预测方法[J]. 自然灾害学报, 2001(3): 113-118. 陈亮. 钢筋混凝土桥梁地震易损性分析方法[J]. 上海公路, 2007, 3: 48-51. 王占飞, 张济宁, 赵乃志. 日本高速道路桥梁抗震设计方法的研究[J]. 世界桥梁, 2008, 4: 13-15. 武清玺. 结构可靠度理论、方法及应用[M]. 北京: 科学出版社, 2004: 39-84. 叶爱君. 桥梁抗震[M]. 北京: 人民交通出版社, 2011: 14-32. 陈文元, 赵雷, 钟强文, 等. 基于响应面法的连续刚构地震可靠度分析[J]. 地震工程与工程振动, 2009, 29(3): 45-50. 程进. 基于响应面法的几何非线性结构概率响应分析[J]. 同济大学学报(自然科学版), 2006, 34(9): 1147-1151. 欧进萍, 段宇博. 高层建筑结构的抗震可靠度分析与优化设计[J]. 地震工程与工程振动, 1995, 15(1): 1-13. 谢旭. 桥梁结构地震响应分析与抗震设计[M]. 北京: 人民交通出版社, 2006: 311-313. 李立峰, 吴文朋, 黄佳梅, 等. 地震作用下中等跨径RC连续梁桥系统易损性研究[J]. 土木工程学报, 2012, 45(10): 152-160.